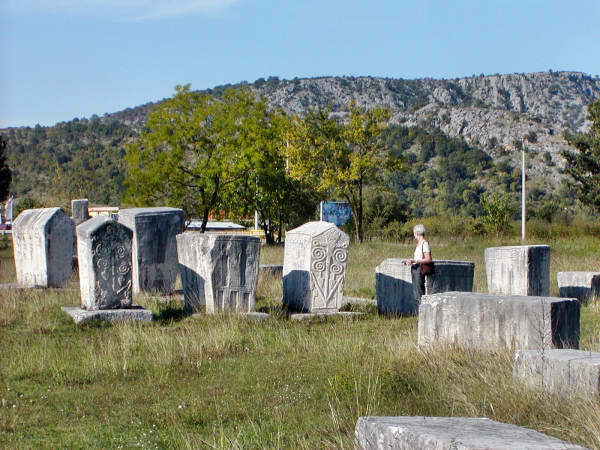 The Bogomils were a sect of religious dualists who practiced in Bosnia and Herzegovina between the 10th and the 14th centuries. They were mostly peasants and had a wide peasant following. 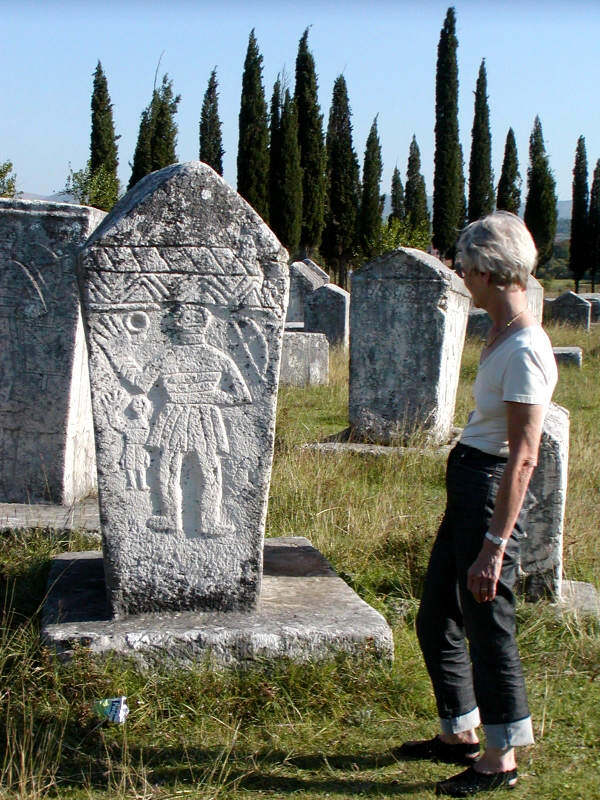 The Bogomils were severely anti-materialistic. The material world was borne of evil, and only through avoidance of all things material could a person attain closeness with the spiritual world. The Bogomils, therefore, rejected religious symbolism, such as the cross. They also rejected the Trinity, sainthood, religious art, and the Old Testament. Men and women achieved religious equality. Women were permitted to be ordained and become spiritual leaders. The concept of "Judgement Day" was also denied by the Bogomils, who felt that all souls were able to attain salvation. Karp Strigolnik, who in the 14th century preached the doctrine in Novgorod, explained that St. Paul had taught that simple minded men should instruct one another; therefore they elected their "teachers" from among themselves to be their spiritual guides, and had no special priests. Ordination was conferred by the congregation and not by any specially appointed minister. Marriage was not a sacrament. The Bogomils refused to fast on Mondays and Fridays, and they rejected monasticism. It is also held that they declared Christ to be the Son of God only through grace like other prophets, and that the bread and wine of the eucharist were not physically transformed into flesh and blood; that the last judgment would be executed by God and not by Jesus; that the images and the cross were idols and the veneration of saints and relics idolatry. The chief literature of all the heretical sects throughout the ages has been that of apocryphal Biblical narratives. Though these writings are mostly of the same origin as those from the older lists of apocryphal books, they underwent a modification at the hands of their Bogomil editors, so as to be useful for the propagation of their own specific doctrines. The Bogomils taught that God had two sons, the elder Satanail and the younger Michael. The elder son rebelled against the father and became the evil spirit. After his fall he created the lower heavens and the earth and tried in vain to create man; in the end he had to appeal to God for the Spirit. After creation Adam was allowed to till the ground on condition that he sold himself and his posterity to the owner of the earth. Then Michael was sent in the form of a man; he became identified with Jesus, and was "elected" by God after the baptism in the Jordan. When the Holy Ghost (again Michael) appeared in the shape of the dove, Jesus received power to break the covenant in the form of a clay tablet (hierographon) held by Satanail from Adam. Satanail was thus transformed into Satan. Through his machinations the crucifixion took place, and Satan was the originator of the whole church community with its churches, vestments, ceremonies, sacraments and fasts, with its monks and priests. This world being the work of Satan, the perfect must eschew any and every excess of its pleasure. But the Bogomils did not go as far as to recommend asceticism. They held the "Lord's Prayer" in high respect as the most potent weapon against Satan, and had a number of conjurations against "evil spirits." Each community had its own twelve "apostles," and women could be raised to the rank of "elect." The Bogomils wore garments like friars and were known as keen missionaries, travelling far and wide to propagate their doctrines. Healing the sick and exorcising the evil spirit, they traversed different countries and spread their apocryphal literature along with some of the books of the Old Testament, deeply influencing the religious spirit of the nations, and preparing them for the Reformation. The essence of Bogomilism is the duality in the creation of the world. This is exactly why it is considered a heresy. Bogomils explained the earthly sinful corporeal life as a creation of Satan, an angel that was sent to the Earth. Due to this duality, their doctrine rejects everything that is socially created and that does not come from the soul, the only divine possession of the human. Therefore, the established Church, the state, and the hierarchy is totally undermined by Bogomilism. Its followers refuse to pay taxes, to work in serfdom, or to fight for their state. The whole social system is overthrown, which on its part were understood as suggesting disorder and propels destructivity for the state, the church by its progenitors, that ultimately eradicated the Bogomils.